Butterfly kisses! Keep this compact close at hand to touch up lipstick, give a finishing look to a hairstyle or perfect a smoky eye. 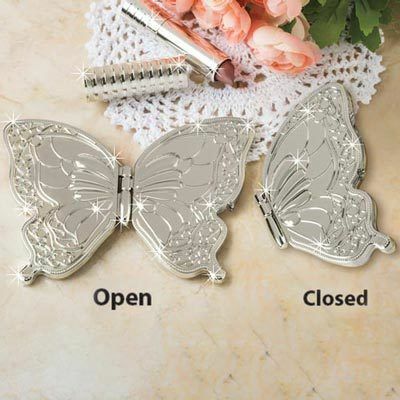 Utterly feminine with two oval mirrors inside, each shaped Beautiful Butterfly Compact features a detailed scrollwork design. Open, 5¼"w; Closed, 3¾"h.